The BioScience Center was founded and is managed by entrepreneurs who have considerable experience creating, nurturing, and exiting successful businesses. We occupy a 19,500 sq-ft building in a centralized location – Albuquerque, New Mexico’s Uptown Area – providing offices, eight wet (chemistry and microbiology) laboratories totaling 2,500 sq. ft., and shared facilities that include reception, IT infrastructure, group purchasing, and conference space. 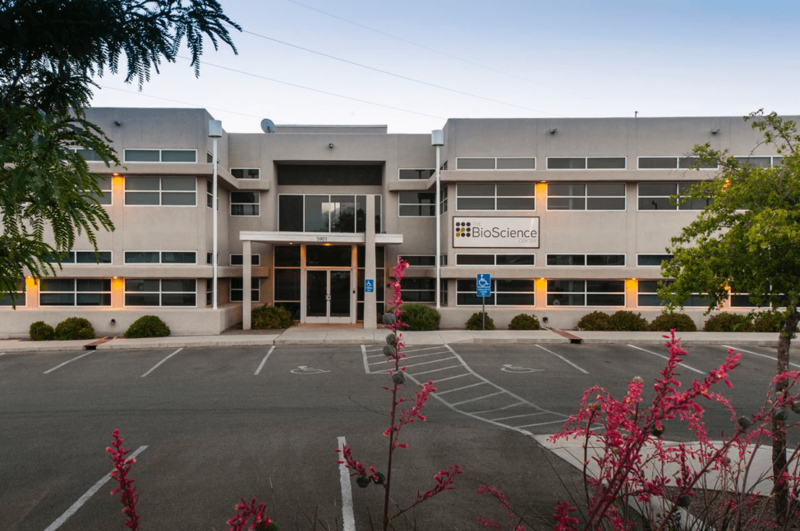 The BioScience Center is not only a business incubator/accelerator, but also a centralized resource about biotechnology activity in New Mexico. Never miss an event. Sign-up to receive our Newsletter for news and event information. Looking for the New Mexico Capital Continuum Doc? Download it here.